It's tough enough for adults to deal with the harrowing images coming out of Haiti. But how do we explain this kind of catastrophe to children? Psychotherapist Robi Ludwig, an author and contributor to the family website Care.com shared how to talk to your children about Haiti with a healthy sense of empathy, while reassuring them of their safety. Tragedies, such as the earthquake in Haiti, Ludwig explained, can be used to give your children a sense of empathy, and it can be used to educate them about the circumstances of children from different parts of the world. She said, "By talking to your kids about the disaster in Haiti, they can learn that children from different parts of the world all share the common experience of humanity." However, with this discussion, you will probably have to explain our differences too, from country to country around the world, she said. Ludwig said, "It's important for them to understand that not all countries of the world are like America. Some countries are poor. Some countries have populations that struggle every day to get fresh water, food, a home. There are places out full of children that don't have toys all the time, TV, the internet, video games." Having discussions with the older kids about the face of poverty, and the difficulty of life elsewhere can help your children develop a sense of awareness, sensitivity and charity, Ludwig said. She added, "So encourage this kind of talks." As for the news coverage of the Haiti disaster, Ludwig said everyone has a different opinion as to how much is too much. "Most children do not have a full sense of what is reality versus what is fantasy," she said. "So the most important thing to keep in mind is supervision. 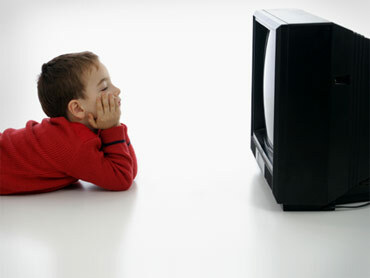 If you are worried about your kids being overexposed, do not let them watch TV alone. If the TV is on, sit with them. If they see graphic images on the news, you will be there in case they have any questions, or if they get frightened. Of course, you won't be able to monitor all of your child's media, not in today's society." In addition, parents, she said, should also be aware of their computer and Internet, cell phone and iPhone usage. "If possible, be in the room with them as they use it," she said. When a news story such as this one breaks, Ludwig said, there is very little media censorship, so censorship of appropriate images falls to the parent. With that in mind, as your child stumbles on news on their computer and phone, Ludwig recommended parents continue to ask them if they are aware of the earthquake. "Ask them what they know about it, correct misinformation," she said. "Use what they are probably being exposed to as a diving board for an open discussion about their fears." "Another important thing to remember," she continued, "is that basically every child is a case-by-case basis. There is no age cut-off point, such as at 15 your kids can watch the news. It really depends on how your child handles fear and anxiety. If your child watches the news, will they understand that this is happening somewhere else and they are safe? Can they separate themselves from the tragedy enough to see it objectively? No one knows your child better than you, so really know what you think their personal limits should be on TV coverage." So how do you talk to children of different ages? If your child is more than six years of age, Ludwig said it's OK to tell them all about the fact that they were privileged to be born where they are, because so many in the world have so little. "It's good to have open, but not frightening discussions about the fragility of life, the responsibility of privilege, and why it's so important to give to those who have less," she said. "If your children are younger than six, then it might frighten them to know how lucky they are, how difficult life is for others. They are probably looking for reassurance as to how safe they are." Ludwig suggested talking to your younger child about the fact that we have safer earthquake buildings, how our country is well prepared in case of emergencies, and talk to them about the availability of fresh water and food. Also, it might be useful, she said, if you have kids of various ages, to use the older ones to help the younger ones. "Talk to your older kids about the difficulty the younger ones might have with understanding and coping (with) such a disaster," she said. "Enlist their help watching the little ones, how they are doing and their fear and anxiety levels." Parents can also impress on their children the importance of helping others through charitable action. "It will give them a real sense of connection to the kids in Haiti and the tragedy down there," she said. "It will give them a real sense of responsibility to others. Tell them that they can help. They can do something with their school, organizing a fund raiser, such as a bake sale. Or they can contribute their allowance to the Red Cross. If they don't get an allowance, perhaps they can do things around the house and for others to raise money to help. It's worth it for every parent to encourage the awareness, the empathy and the giving."